December is here again. Shopping malls are filled with people, houses are decorated in lights, and egg nog re-appears on the shelves. It's also time for the 112th Annual Christmas Bird Count. Yes, 112. This is the longest-running Citizen Science project and arguably one of the most successful. The project began in 1900 when Frank Chapman, a prominent member of the Audubon Society, wanted to change a common after Christmas tradition of hunting birds in a "Side Hunt". He proposed a much more humane hunt to just count and identify birds. But not only did he create a new tradition, he helped introduce concepts of both "crowd sourcing" and citizen science long before anyone else. The Christmas Bird Count is also one of the most scientifically successful citizen science projects out there. With 111 years worth of ornithological data (much of it global) we can identify trends in bird populations over both short and long periods of time. So we can identify shifts in the types of birds living in an area, see the effects of local development projects on individual habitats, and even observe the potential impacts of global warming and other large-scale phenomena. 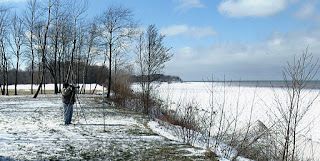 Visit the Audubon Society's Christmas Bird Count web site to learn more about the project and it's impressive history. Go to the Get Involved and Registration pages to find and join a counting circle near your area. The cost is only $5 and you will be put in a team of both experienced and less-experienced birders. So your skill level doesn't matter...the Count Compiler in your area will help in areas you aren't familiar with. Once you receive an assigned date and time for the count (in or around Christmas time, between December 14 - January 5) mark it on your calendar and get your equipment ready. Cameras and binoculars are strongly encouraged, but so are warm clothes for a cool winter's day. 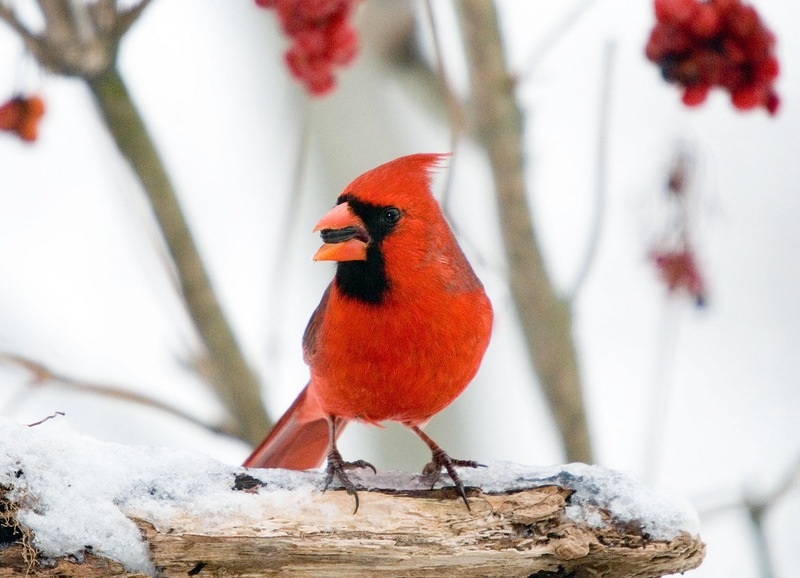 If you are really new to birding, visit the Cornell Ornithological Lab's Birds of North America Online, check out mobile tools such as eBird or Project NOAH, or contact a local Audubon Society chapter. Hopefully you'll find this one-day project as fun as the 60,000+ others expected to partake each year. If you enjoy the experience consider joining the many other citizen science birdwatching projects available. I've described a number of big ones in this Birdwatching blog post, or you can check out the Cornell Lab of Ornithology for their listing of available projects (both national and local). And make sure to let us know about it in the comments below...we'd love to hear about your experience. So let's get to it...I count 23 birds in the 12 Days of Christmas (seven swans-a-swimming, six geese-a-laying, 4 colly/calling birds, three french hens, and two turtle doves). Plus one for the partridge. Now how many birds are in your Christmas counting circle? Sign up with a volunteer coordinator and find out. They say if you put a shell next to your ear you can hear waves crashing on the beach. Now we get the next step...put your ear next to your computer and hear the sounds of whales cruising through the seas. WhaleFM is the latest offering in the Zooniverse line of Citizen Science projects. Like all the others it relies on the ability of human senses to identify patterns quicker and precisely than a computer. In other projects it is visual pattern recognition. For WhaleFM, the project utilizes the human ability to distinguish sounds and differentiate various recorded whale songs. To date relatively little is known about the sounds made by whales, including the Orca (Killer Whale) and Pilot Whale species being examined. These animals can communicate in their own language but we are still searching for clues to their meaning. In this project, researchers want to establish the basic types and numbers of calls used by these animals, figure out how similar the calls are between individual whales, and understand how whale sounds are influenced by SONAR and other man made noise pollution. So they've tracked a number of whales and followed their behaviors while recording sounds from tiny, harmless transmitters suction-cupped to their skin. Now we just need to analyze those sounds. Visit the WhaleFM web site and learn more about the project, it's scientific background, and the individual whales being studied. Log in to your Zooniverse account or create a new one from the Register screen. 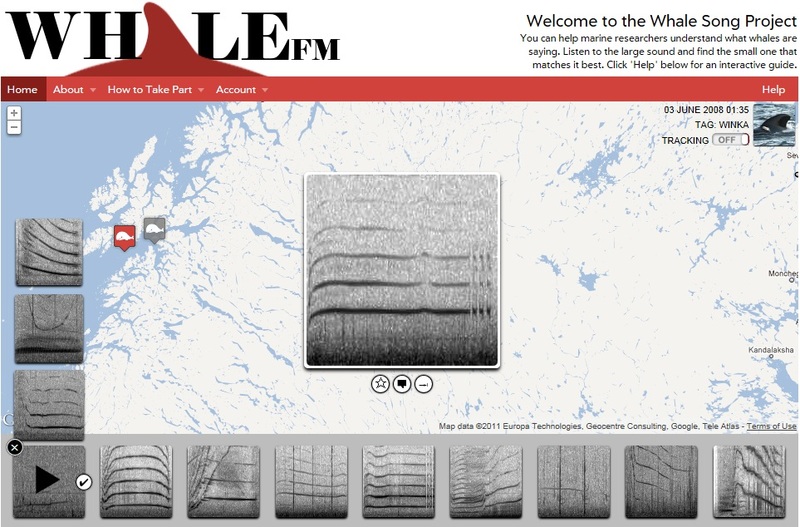 Return to the WhaleFM site and read the short lesson on identifying whale sounds and using the interface (just like the example shown below). You can also follow the short tutorial that walks you through the first call you study. For each call, click on the center graph to hear the recording and see a pictograph of the sound. Below you will then see nine different possible families of calls it might match...click on each to hear what each sounds like. You will also see three more similar calls in that "family" of sounds. Listen to each and click on the check mark if you think there is a match. At top the two calls will line up next to each other. Look and listen once again to confirm your choice, and click "Match". Your choice will be recorded and the system will move on to the next call. If you don't find a match just skip over to the next one. That's all there is to it! So what are you waiting for? Turn up those speakers, start listening, and have fun. Last week I took a break from Tuesday "Tools of the Trade" to talk about citizen science philanthropy and how it can be used to solve scientific AND social problems. It's still an important topic and I encourage you to take part in the conversation. But this week I'm back with another "Tools of the Trade" article. 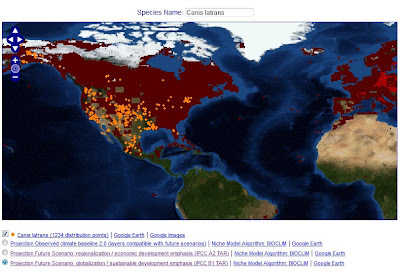 This week I want to look at "LifeMapper", a tool for mapping animal habitats and testing how those habitats may be altered due to global climate change. Users can tap the database of geographic data for over 900,000 species and 20,000 environmental species models to graphically display where animals have recently been observed, how their habitat may change as the environment changes, and how that environment may change based on various economic development models. Everything is shown on a large world map highlighting both the existing places each animal has been observed as well as an outline of territory with the same climate and terrain. For example, a search for coyotes (Canis latrans) shows where they have been observed (orange dots) and areas of similar habitat (red shading). You can also see similar habitats with different shades of red. As you can see this data can be a very useful tool for citizen scientists and even high school students looking for an easy tool for understanding climate change. But it can also be a very high-end tool for more advanced studies. 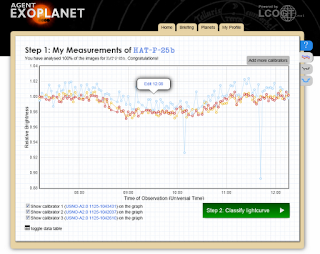 The site allows researchers to set all the parameters for their own climate change experiments and witness the impacst as shown above. Or they can create their own unique models and run those as well; this can be done both on the site as well as by downloading the full program and data to your own computer for analysis. This leads into another interesting fact abouet LifeMapper; all the species observation data comes from the Geographic Biodiversity Information Facility (GBIF) and is publicly available to anyone who wishes to use it. GBIF is a repository for data from governments and museums representing over 50 countries that have pooled their collections data in this one central facility. It also includes data from many museum-sponsored bio-observation projects. In other words, the citizen science projects you've been reading about on this very website! So now that you've worked on all these projects and diligently added your data to the collection, it's finally time to use it. Visit the LifeMapper web site to learn more about the project and find any recent updates. Click on the Species link to bring up the main web interface and display map. 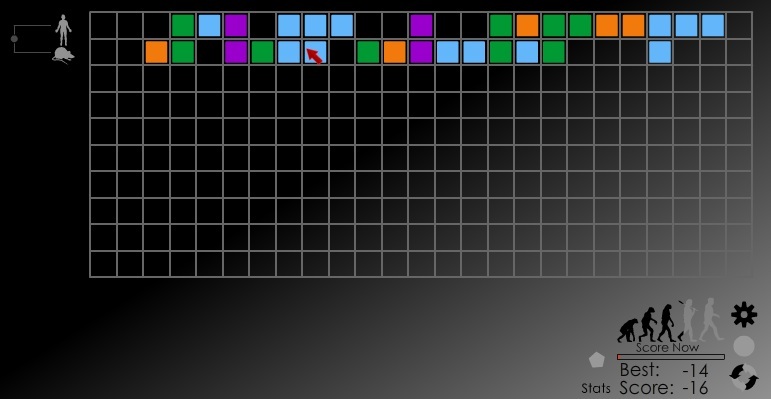 This will look very similar to the example images shown above. 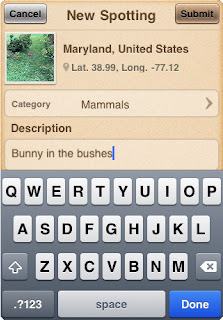 Directly above the map is the "Species Name" field. 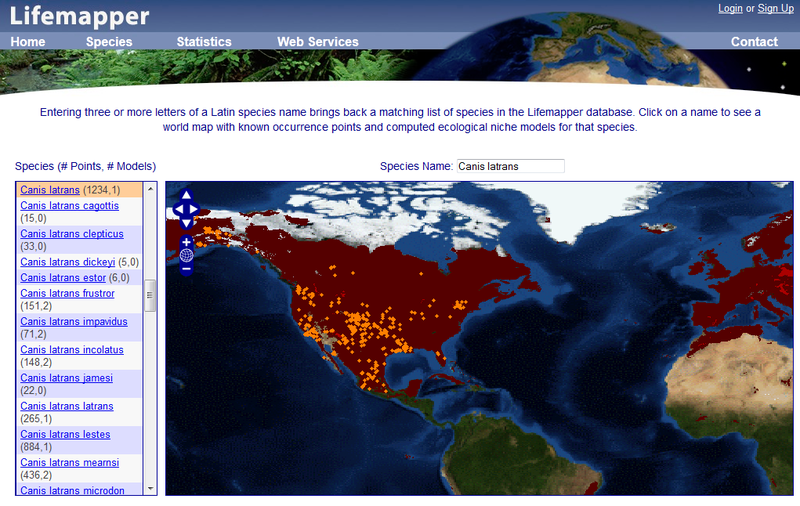 Just type the first three letters (minimum) of the species name and a full list of every species with available data will appear. Pick the species and/or subspecies you wish to analyze. Don't know the name of an individual species? Check out the citizen-science run Encyclopedia of Life for your answer. 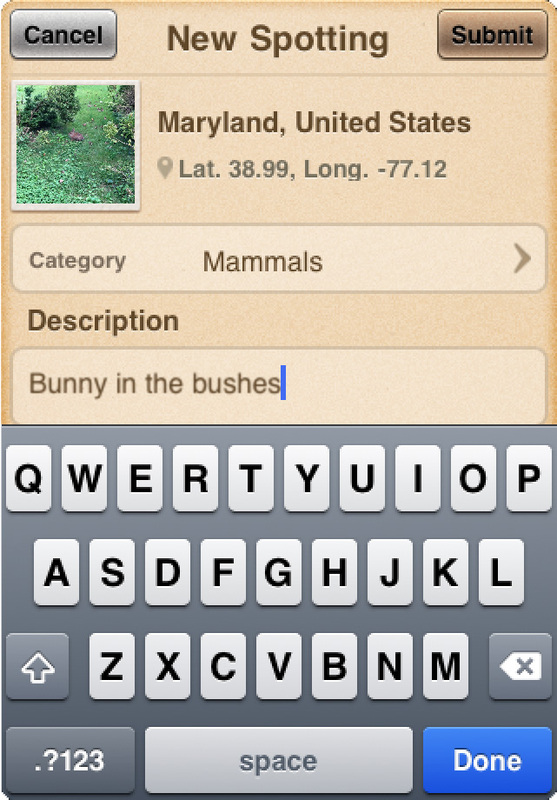 Once selected, a world map will appear with all the observation data for your selected species. Use the interface tools to zoom in/out, or move around the globe (I don't recommend scrolling since the system was a bit glitchy when I tried it, but the built-in interface worked perfectly). Right below the map will be any existing climate models that have already been run for this particular species. Just click the radio button (small circle to the left) for each model you are interested in and a new map will automatically pop up. Keep clicking back and forth between the climate models for a good sense of the differences in each. That's all there is to it! Once you've mastered the basics there is still a world of exploring you can do with the LifeMapper program. We'll be discussing those in a future blog post but for now let's start with the basics to get the hang of it. It's such a simple, easy way to see how we humans are impacting the Earth, as well as how we can help improve life under certain conditions. So take heart, and start playing with the data! Two weeks ago I started looking at the field of Citizen Science and started wondering how we can increase it's impact in society. Recently the field has done much for individual scientific fields, such as ecology and biochemistry, that can keep our people and our planet healthy. But I'm also wondering about increasing the non-scientific impacts of citizen science. My previous posting looked at this question broadly but now I'm interested in how it can be used in one specific area: unemployment. Innovation Challenges: A growing number of companies are looking to the citizen science community to solve problems and rewarding them with sizable cash awards. Some challenges require technical skills but many do not. Instead they just require creative thought or detail-focused work. Well-known examples exist through the Ansari XPrize Challenges (complex challenges), to challenges brokered by Innocentive (simple and complex challenges), and many others sponsored at the private and governmental level. 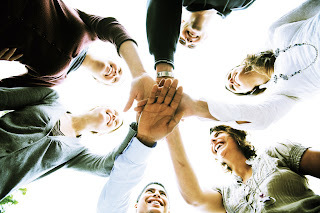 So there is great opportunity to expend these opportunities to benefit more people, provide more solutions to companies, help laid-off workers sharpen their skills solving challenges in their selected occupations, and provide accomplishments for unemployed workers to emphasize on resumes. Observational Bounties: Similar to challenges above, these bounties ask individuals to perform observational tasks or collect information on natural phenomena and reimbursing them for their rime or accomplishments. Examples include collecting weather data in geographically dispersed places for private forecasters, collecting wildlife and plant diversity data for environmental firms, or providing detailed survey data for mapping firms. One analogy is the creation a Civilian Conservation Corps of Science; instead of depression-era workers building roads these would be unemployed workers collecting ecological and other data useful to private firms, government agencies, and academic researchers alike. The more valuable the data, the more compensation can be provided to participants. Technical Skills Training and Maintenance: Citizen science projects are not just for people with existing science and technology training. It is also a fantastic way for people to learn about new industries and develop their own real-world technical skills. This model has been shown quite successful for educating students from elementary school through high school. And it has been used to provide real-world experiences for young scientists in a college curriculum. So it's the perfect time to extend it to the community and vocational college level and increase Science, Technology, Engineering and Math (STEM) skills among unemployed and incumbent workers. As an added benefit, this type of training lends itself to distance-learning and other non-traditional methods of reaching students, an important quality when attempting to train adult-age workers. Avenues for Entrepreneurship: The organizing and managing of large science and technology projects can easily spin-off into business creation as well. Once a group has formed to work on a certain engineering or scientific challenge, not only can they sell the results but also start looking at related problems and come up with their own business ideas. The group can continue to improve the technology and commercialize it, or look at similar problems that develop into a new company. Apple started out as a computer hobbyist club and Google began in the founders' garage; in many ways these companies started out as citizen science projects. It's time to develop even more. Motivating Disenchanted Workers: In any recession a large problem are laid-off workers who are out of work for an extended period of time and slowly lose motivation to continue increasing their skills. The benefit of citizen science based training is it's focus around a broader social goal and the general search for knowledge. These can be highly motivational for the unemployed struggling to keep their spirits (and skills) up. While there is huge potential for adapting this approach to increasing employability and much of the basic groundwork has been laid, nobody has done much work on using it for this purpose. So my hope is to keep following up this line of thinking with more details and a plan to bring it all together. But what are your thoughts? Before we get much further I'm curious if this seems like a good idea to the rest of you, or if it's just not plausible. Alternatively , do you have other ideas to add to the plan? Let me know in the comments below so we can bring everyone's perspectives together on this. Tonight I had the rare opportunity to meet over 250 citizen scientists and talk about our shared love of Washington DC weather and meteorology. The occasion was sponsored by the Washington Post's Capital Weather Gang as a chance for their blog's "Capital Weather Watchers" to chat with the newspaper's weather team in person and meet their fellow readers too. As an added bonus we also received Spotter training from the Federal governments Skywarn program. This was a very interesting evening with a large audience of energized citizen scientists, so I'm publishing Thursday's post early so I can share the excitement with you too. I've previously written about the program in my SkyWarn blog post but never had a chance to attend a training. Until now. All I can say is that it is highly informative, easy to understand, and quite exciting to watch. Knowing that I am now a person qualified to "spot" for the weather service and make the reports of hail or flooding heard on the news is a very odd experirnce. Even odder is knowing that weather service will call ME for updates when severe weather is in the area is an odd feeling. But I feel I now have a much better understanding of what I'm looking for. Chris Strong of NOAA's National Weather Service delivered the main training session. After quickly describing the role of spotters and organizational structure at the weather service, he dove into the basics of spotting and science of meteorology. We learned the proper way to measure hail (measure the largest hailstone you can find along the longest axis, and describe it in terms of fixed-size objects, not marbles). He also went into great detail about how tornadoes form and the various thunderstorm phenomena spotters are asked to report on. We also learned about the danger of lightning that kills men (like me!) three times more often than women, and the danger of downdrafts, including dramatic footage of a backyard suddenly ripped apart during a storm. In fact there were many evocative videos included in his slides, such as a funnel cloud over Andrews Air Force Base and a growing flash flood that starts as a trickle and ends up washing away cars in a nearby parking lot. They really are a sight to behold and if you have the time I highly recommend viewing it yourself here. The Capital Weather Gang also spent some time in the spotlight. They talked about their history and continuing efforts to keep the local community of weather watchers engaged in the sight. I can attest first-hand that it's a highly energetic and very informed community that interacts with the site, and this energy comes through in everything they write. It's also a great place to learn about the weather...every forecast is described in great detail with all the factors leading it it, so not only can you learn about the weekend's coming snowstorm, but you also get a detailed analysis of the moisture flows and computer models that lead to the forecast. They call themselves weather enthusiasts, but they are true citizen scientists in my book. Finally, what intrigued me most were the wide variety of people in the audience. We had young and old, white and black, and just slightly more men (60%) than women. All were quite interesting and fun to talk to. So nothing like the stereotypes many people have about weather watchers or citizen scientists. These are people just like you and me with an interest in the world around them and an intellectual passion to understand it further. And they couldn't be nicer. Finally, on a personal note, I went in to this evening not knowing a single person of the over 250 attending. But I sat down and quickly entered into a lovely conversation with everyone at my table. Nobody knew each other, or at least we initially thought. But after a brief discussion we discovered that I had sat next to a co-worker I've spoken with many times but never met in person, and also met the husband of another woman I've worked with in the past. Such a small world! So it turns out citizen scientists really are just the people next door. Just in this case it was the office next door. UPDATE: Check out the Capital Weather Gang's own synopsis of the event here. I recommend clicking over to look; not only do they feature a number of different perspectives on the event, but they featured OpenScientist quite prominently! The last few weeks have had me thinking a lot about citizen science and its place in society. On the scientific side it's doing quite well as the research community increasingly involves itself with, and takes advantage, the passion of citizen scientists. But I'm also interested in it's larger place in society and how it can make the world better for individual people. Much of this started with a Washington Post article about billionaire Bill Conway's desire to use his investment fortune to help the unemployed and create sustainable jobs for the poor. He doesn't yet know the best way to accomplish the goal, so in true innovation-prize style he's turning to the public for their most creative ideas. This prompted many budding ideas I've had of using citizen science to increase job skills, employ the unemployed, and spur entrepreneurship which I'll be building on in future posts. But I'm starting to get ahead of myself. I also received a e-mail today from the SETI@Home group requesting donations to expand the project's scope and maintain the project's ongoing operations. These researchers have performed first-rate science for over a decade, have spent their money very wisely, and blazed a path for the modern resurgence of citizen science. In other words they're a group I'm happy to support. But it continued my thinking that started with Bill Conway's challenge. What is the best way to support citizen science...both to help our fellow citizens and continue the exciting science? Should we be supporting creation of new projects, or helping improve existing ones? How can we expand the use of citizen science bounties to help the poor and unemployed? How do we best use citizen science as a platform to teach technical skills to both children AND adult workers. For large-scale efforts or philanthropists with deep pockets, is it best to support multiple different projects or create one larger project encompassing many different aspects of citizen science? For people with smaller budgets, how do you balance investing in your own citizen science tools (such as a telescope) with donating money to a citizen science charity? These and other questions I'll start answering with my own thoughts next week. But the more of your ideas I can incorporate early on the better the discussion will be for all of us. As a final note, I encourage everyone to take a look at the initial article about Bill Conway's challenge for maximizing his philanthropy and helping the most workers. Send him your own ideas or any unique insights you may have to Inquiries@Carlyle.com. If they involve citizen science let me know too...comment below or e-mail them to OpenScientist@GMail.com. I'd love to incorporate them into our public discussion too. A Citizen Science trend I've recently noticed are the increasing numbers of projects asking participants to analyze scientific images. These projects take advantage of the large numbers of citizen scientists that can perform visual-identification tasks much bettter than computers can. Although machines can help us automate picture collection, they aren't very good at understanding what is captured in the picture. That's where the human eye comes in...it's still the best at recognizing patterns. 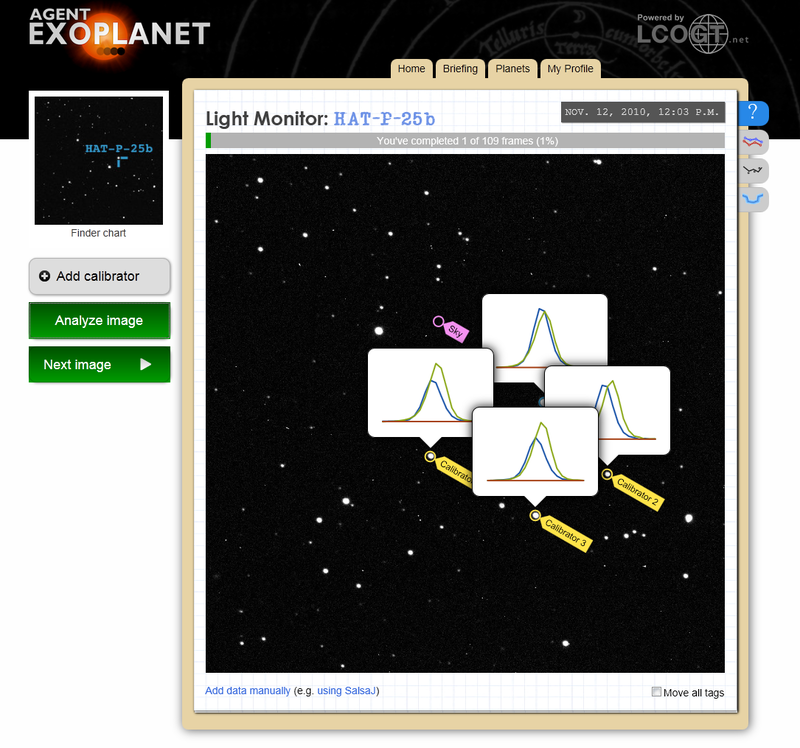 The Zooniverse projects are a great example. Many of the scientific images needing analysis come from space missions and Earth-bound telescopes and these projects crowdsource analysis of those images in a wide variety of ways. Some, such as PlanetHunters, are looking for other planets as part of NASA's grand search for life. And that's where the MAPPER (Morphology Analysis Project for Participatory Exploration and Research) comes in...another piece in the grand search for extra-terrestrial life but based right here near home. This project is testing ways to improve detection of microbialites, a type of rock created by bacterial deposits on its surface. The theory is that these formations may be common on any planet with a bacterial history, so looking for these rocks on other planets may guide us to potential clues for life. On Earth most microbialites are at the bottom of cold lakes. So NASA has sent expeditions to two Canadian lakes to scan the entire lake beds and map where the microbialites form. The first part is nearly done...robotic subs and scuba divers have taken all the images needed from the lakes. Now they need our help analyzing and interpreting the data. Visit the MAPPER web site and view the Slide Show Tour to learn more about the project. Once you are ready to get started, click on "Sign Up Here" to create an account. All you need to provide is your full name, an e-mail address, and a password. That's it. Once logged in click on the interactive tutorial designed to teach you everything you need about the system. In it you will learn to only tag clear photos that are not fuzzy and not blocked by the camera equipment, see examples of the various tagable items are (e.g., dark sediment, trees, trash, microbialites, rocks, algae, etc. ), and practice how to use the tagging system. As you can see below it's really quite simple. The system will also take you through a number of test pictures where you'll see the newly-acquired photo analysis skills and will be graded on how well you identified features in each one. Once the five-minute tutorial is done you are ready to start! Just click on "Tag Photos" and get to work. As you complete more pictures you will get more points in the ongoing completion contest, and will receive new types of photos as you get more experience with the system. Currently NASA and it's partners have surveyed two different lakes for this project, Pavilion Lake and Kelly Lake. While they have many photos that need analyzing the number is not infinite. I expect this phase of the project may end after a few months once all the data analysis is complete. So what are you waiting for? Get out there and start tagging! It's Tuesday again, and time for another Tuesday Citizen Science "Tools of the Trade" post. What I like about this series is getting the chance to explore some of the fascinating resources available that aren't distinct projects, but which put everything in context and help us appreciate the science even more. I've come across many of them over the last year and was always excited to share them with you. I just didn't know how...and now it's my chance. Today I want to look at the WorldWide Telescope project: a partnership between Microsoft and NASA to make astronomy accessible to citizen scientists everywhere. 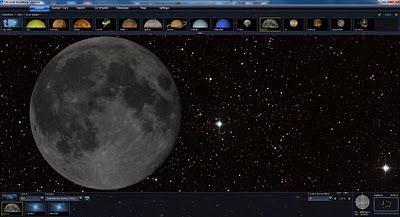 It let's you explore the night sky with a highly intuitive, easy-to-use, and pretty-to-look-at interface. You can zoom around the stars, point the telescope at distant galaxies, "land" on Mars or the moon while panning around images from the Spirit and Phoenix landers, and you can scan the planet's surface with images taken from orbiting satellites such as the Mars Reconnaissance Orbiter. You can also program a "tour" of sites and create a presentation of interesting sites or follow one of the many pre-programmed tours available in the program. This let's it be used as a home planetarium, just more powerful and with the ability to point it yourself. Much of the imagery comes directly from NASA missions that have produced a wealth of information, but that's not the only source. Much also comes from Earth-based telescope surveys recording in a wide variety of wavelengths. This lets citizen scientists look at far-off galaxies in infrared or the optical range, and make comparisons of what they see. You can even add your own data with the Excel plug-in and other capabilities built-in to the system. So not only is it a great educational tool for beginning astronomers, but it's also capable of helping with more advanced citizen science and professional projects. I could spend a longtime talking about all you can do with the program but I'll leave that for another time. For now let's just dive in and start playing around. Visit the Worldwide Telescope web page and read about the many features of the program. If you prefer, watchthere various introductory videos to learn more about the project and get excited about the program's possibilities. If you want to tour specific pre-set planets and galaxies, use the ribbon bar at the top of the program screen to select a destination. Clicking on it will cause your screen to "travel" to the location. If you prefer to explore yourself, just use the mouse to pan around and use the scroll buttons to zoom in and out (traveling further and further away from Earth). If you prefer to view different sky surveys or images at different wavelengths, use the "Look at Sky" feature on the bottom bar and select the appropriate data set. You can also use the telescope missions on the top ribbon bar to select different wavelengths or data sets for viewing. Hopefully you'll have as much fun exploring with this program as I have. It's extremely powerful and we've only scratched the surface of it's features with the instructions above. But let's play around and see what it can do first. In future posts I plan to describe more specific ways we can use this tool for our own citizen science projects or to even create a brand new project. I also plan to tour some of the other resources available for making NASA imagery public. The missions were fully paid for by us taxpayers; now we have a chance to experience them ourselves.